Have you ever been out at the store looking for an accessory, like a necklace or smartphone case, and then you find one that is perfect in every way, from price to size, except the color is all wrong? According to researchers from MIT’s Computer Science and Artificial Intelligence Laboratory (CSAIL), their new ColorFab method for changing the color of 3D printed objects once they’ve been fully fabricated could make it so this problem never occurs again. We never tire of learning about CSAIL’s innovative 3D printing research projects, and this one is no different: the team’s system uses ultraviolet (UV) light and custom ink to repeatedly change a 3D printed object’s color on demand in less than half an hour. 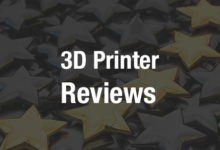 While 3D printing technology has evolved a great deal over the years, one thing has yet to change – once an object is 3D printed, it is final, and a reprint is required if something, like the color, needs to be changed. “Largely speaking, people are consuming a lot more now than 20 years ago, and they’re creating a lot of waste. By changing an object’s color, you don’t have to create a whole new object every time,” explained Stefanie Mueller, the X-Consortium Career Development Assistant Professor in CSAIL’s Electrical Engineering and Computer Science (EECS) and Mechanical Engineering departments and the Director of the HCI Engineering group. The team developed a custom 3D printable ink that changes color once exposed to UV light. It can recolor a multicolored object in a little over 20 minutes, though they expect this time to get significantly shorter as their system, currently focused on common 3D printing materials like plastics, improves. Speaking of improvement, the researchers say that in time, their system could even be used to change the color of clothing in an instant. Together with CSAIL post-doctoral student Parinya Punpongsanon, undergraduate Xin Wen, and researcher David Kim, Mueller co-authored a paper on their work, titled “ColorFab: Recoloring 3D Printed Objects using Photochromic Inks,” that was accepted to the ACM CHI Conference on Human Factors in Computing Systems, which will be held in Montreal this spring. Changing objects’ colors involves using ultraviolet light to activate some colors and visible light to deactivate others. While other systems have only used one color, the CSAIL team developed a simple hardware/software workflow to get past this and use several colors. Users first upload a 3D model using the ColorFab interface, select their color patterns, and then 3D print the multicolored object. Once the object is off the print bed, different kinds of light are used to change it – UV light changes the pixels to activate colors and change the object from transparent to colored, while visible light from a normal office projector changes it from colored to transparent. 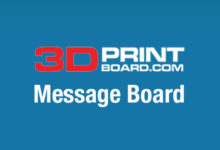 The custom 3D printable ink is made from a photoinitiator, a base dye, and light-adaptable (photochromic) dyes, which brings out the color in the base dye; during the 3D printing process, the photoinitiator lets the base dye harden. “Appearance adaptivity in general is always a superior feature to have, and we’ve seen many other kinds of adaptivity enabled with manufactured objects. This work is a true breakthrough in being able to change the color of objects without repainting them,” said Changxi Zheng, an Associate Professor at Columbia University and Co-Director of Columbia’s Computer Graphics Group. Converting the 3D model into the ColorFab voxel-color representation and 3D printing it. The CSAIL process is reversible, which means that users can recolor an object as many times as they want. The researchers tested their ColorFab system on precision, recoloring time, and how quickly the color decayed. While they found the colors to be slightly grainy, they hope to improve this by activating colors closer together on the object. To speed up the recoloring process, which clocked in at 23 minutes, the team will try adding more light-adaptable dye to the custom ink or using a more powerful light. According to Mueller, the goal of ColorFab is for consumers to be able to quickly and efficiently match accessories to their outfits with less waste, and for retail stores to have the ability to customize products in real-time for shoppers if they want to try on an accessory or piece of clothing in another color.